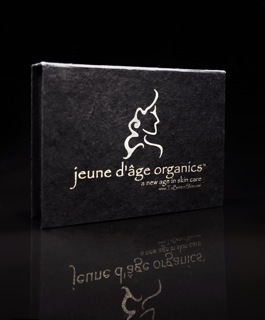 Obsession of the Day: Jeune D'Age Organics Skin Care | Fashion. Style. Beauty. | Life is short. Live well. Sometimes testing beauty products can be interesting. I mean, look, we’re all born with one type of skin and one type of hair. So, when I got the chance to let my fabulous mother test a well-trusted organic line of skincare for her mature skin (don’t let her read that word, she’d kill me), I signed her right up. Six months of consistent use later, I’m beyond thrilled with the results and ready to tell you about it. For those seeking ultra-moisturizing, luxurious skin care that’s organic and healthy for you, please look no further than my mom’s new glow from Jeune d’Age Organics. She’s been using the Anti-Aging Serum (photo above, $39.95 for a box of 30 packets), which contains amazing antioxidants and ingredients like hyaluronan (a dermal hydrator that plumps and smooths), DMAE (a compound that’s naturally produced in the body that when applied topically lifts and tones), CoQ10 (a strong antioxidant that helps carry more oxygen to cells, encouraging renewal), açai (another strong antioxidant) and retinol palmitate (Vitamin A), which exfoliates and helps promote collagen production while reducing wrinkles. Even better, it comes in a flower seed box. When you’re done with the box, plant it and it will grow gorgeous flowers. My mother (a very accomplished gardener) liked this almost as much as she loved the products. 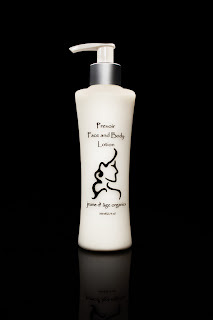 She follows this with the Previor Face and Body Lotion ($29.95), which she smooths on over the serum. The lotion contains coconut oil, olive oil (which is rich in vitamins and helps to and repair cell membranes), shea butter (known to soothe rough, dry or chapped skin), vitamins A and E, and green tea (to help with elasticity as well as inhibiting the formation of freckles and dark spots).The result is incredibly-hydrated, smoother skin with less hyperpigmentation. These two products combines have given Mom some amazing, smooth and fabulous skin. If you’re looking for a fabulous anti-aging solution for your beauty routine, I highly recommend this beautiful set of beauty products. Even if you’re not, there’s a certain holiday coming really soon (cough: Mother’s Day) and you might consider some beautiful skincare for a spectacular woman in your life.